Engadget spotted that in OS X’s own Dictionary.app, the definition of Apple is woefully out of date, not even mentioning Cupertino’s biggest products: the iPhone and iPad. 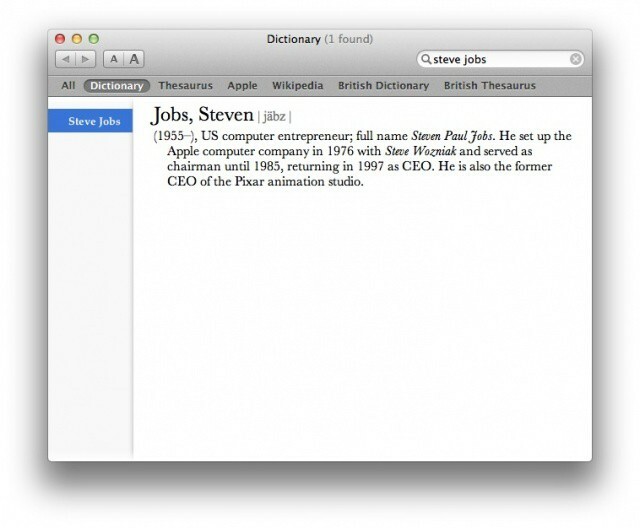 Sadly, the dictionary is also out of date in other ways… namely, in how it lists Steve Jobs. There’s no date on the other side of that hyphen to the east of 1955. If only, Apple, if only.